Unlike other buildings of importance in Hyderabad, the AP State Museum was not constructed for the sole purpose of having a museum; instead, it owes much of its existence to the last Nizam’s desire to preserve his state’s heritage amidst British rule. To this end, he created the Department of Archaeology in 1915. From then on, the department played an active role in conducting several explorations and excavations of historical sites as well as the preservation of historical monuments. Finally, it came to the point that the collection became too huge that they needed a place to house it all. So, in 1930, the museum was erected in the premises of the Public Garden in Hyderabad. 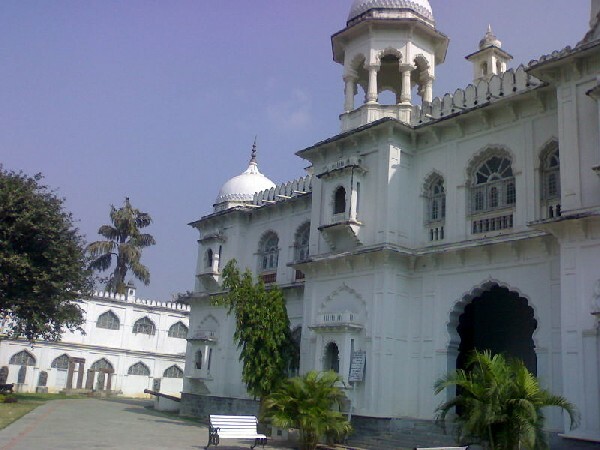 Back then, the museum was known simply as the Hyderabad Museum. From 1950 on, the museum started collecting works of contemporary artists and, in 1968, its name was changed to the AP State Museum and administered by the state government of Telangana. There are many galleries devoted to stone sculptures, bronze works, manuscripts, modern paintings, and textiles, among others. By nature, the museum has remained mainly research-oriented, bringing out several publications about its varied collection. The AP State Museum’s building itself is a beauty in architecture and construction, embodying a distinct Indo-Saracenic style. Inside, the museum boasts a wide range of well-structured chambers and galleries that show the different phases of human history and civilization. The galleries each house an exquisite collection of rare arts and antiquities, most of which are priceless. Buddhist and Hindu sculptures hold prominent places in two of the museum’s galleries, belying the museum’s origins. The Buddhist artifacts date as far back as the second and third centuries BC. The Hindu collection, on the other hand, represent sculptures of the Chalukyan period and Vijayanagara period. Lastly, there is an authentic Egyptian mummy, the daughter of the sixth pharaoh of Egypt, which was donated by the seventh Nizam of Hyderabad.